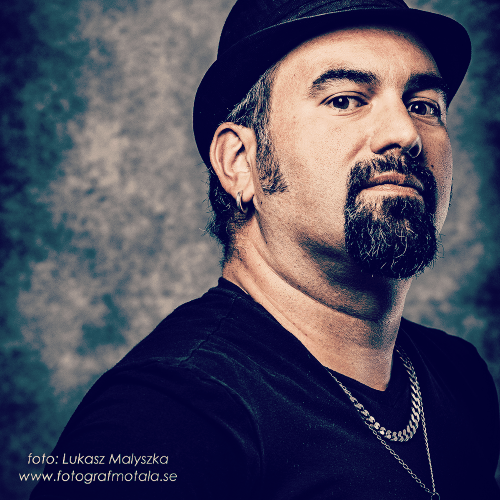 Dan Granero is an Australian guitarist and bass player living in Sweden. He’s been a working musician for more than 25 years, in Australia and Sweden both as a touring and recording session musician and solo artist. Currently he’s the guitarist and lead singer of the Dan Granero Band, with several albums released, as well as the bass player and singer of Mojorider. The bands music covers the Blues/Rock/Funk and Soul music fields. Dan Granero has been performing in Scandinavia since 2008 and has released 7 successful albums independently worldwide. Dan's previous two albums were in the top 10 Blues/Roots Charts in Australia. He has also done clinics for Fender Australia, and play a couple Fender Custom Shop “Dan Granero” models. Dan play's EBS effects with his guitars and EBS amps and effects for his bass duties.